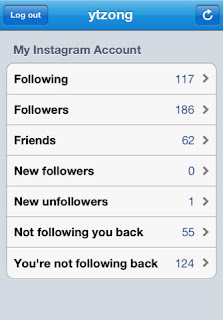 Developer Quote: "With WhoUnfollow for Instagram, you can find who unfollowed you, who is not following you back, track new followers, and more..."
Instagram has become such a hit social network. Witness people who are taking every opportunity to show off their photography skills to their friends! 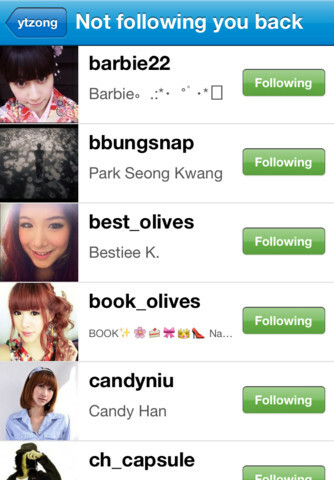 Instagram is also a terrific way to socially interact with others. More pictures than words are used to achieve this, and that's even better! Saves us having to come up with witty updates daily (you know what I mean Facebookers)! Anyway, how do you know if all those you follow are following you back? There's no rule that they have to do so, but hey it would be nice if your friends and acquaintances returned the favor! 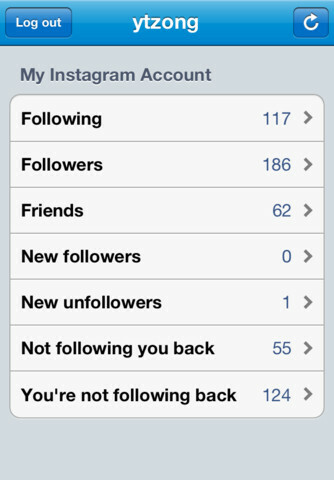 - You can follow or unfollow up to 200 users per hour (limited by Instagram). That's all there is to it. This is a pretty clear and easy to use app with only one purpose in mind - to organize your Instagram account. Your pics can be very private works of art, so take control of who follows you and don't waste time following those who have nothing in common with you! COOL CONCLUSION: Keep it simple, keep it reciprocal and keep it moving is the theme behind WhoUnfollow for Instagram, an easy way to organize your Instagram followers. --iOS/Age Rating: This app requires iOS 5.1 or later. Rated 4+. To request advertising promotions, use our easy Advertising Order Form or send an e-mail to above address. Thank you.